"Treasure your pets and all living things. Eventually we all stop living," Gross wrote in a commentary after his beloved cat, Bob, died. “Treasure your pets and all living things. Eventually we all stop living.” So wrote Bill Gross, founder of bond behemoth PIMCO, in his April investment outlook letter, dedicated to his beloved cat, Bob, deceased after 14 years. When you look at things that way, not much else matters—not even, perhaps, in the grander scheme of life, the disappointing performance of PIMCO’s flagship Total Return Fund (PTTRX), which has been on a downward trajectory for nearly a year. All the same, though, the negative performance of the largest bond fund in the world—it has been trailing 87% of its peers thus far this year, according to data from Morningstar—has been an important item of financial news for months, and for many financial advisors it remains a source of great disappointment. As investors continue to pull money out of the Total Return Fund (it has reportedly lost more than $50 billion since May 2013), the pundits are still ruminating over why and how Gross lost control. Some have pointed to the fund’s underweight allocation to U.S. bonds—investment-grade corporate bonds in particular—at a time of high returns, coupled with a wrong call on duration (it was more heavily weighted toward shorter-term debt) as contributing toward its poor performance. And of course, the media continues to spotlight the departure of Mohamed El-Erian, PIMCO’s former CEO and co-CIO, which brought to light the allegedly rocky relationship El-Erian shared with Gross and the latter’s reportedly tight, borderline authoritarian hold over PIMCO. 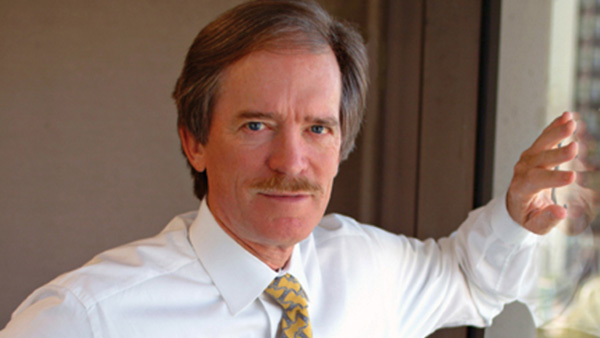 The negative news reports led a number of high-profile institutional investors to carefully scrutinize PIMCO. Heavyweights like Calpers and the Florida Retirement System Pension Plan were monitoring the management shake-up in particular, and since El-Erian’s departure, the poor performance of the Total Return Fund has not helped the situation much. Yet PIMCO and Gross are inextricably linked, and recent problems aside, Gross’ long-term track record in the market is still one that’s tough to beat. Over the past 15 years, the fund’s risk-adjusted returns have been among the highest. There is something about Gross that continues to intrigue advisors and their investors, and makes them believe that the man who once turned $200 into $16,000 at the blackjack tables, who has a penchant for wearing his Hermes ties untied and who, he has said, gets some of his best investment ideas while practicing the Sirasana, or headstand, still has it. Few financiers, after all, could get away with confessing that their cat weighed in on which pet food stocks to select.